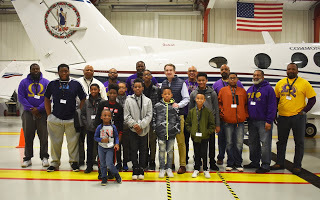 The Virginia Department of Aviation (DOAV) reported that it was an honor to have the Upsilon Nu Chapter of Omega Psi Phi Inc. Youth Academy at the DOAV hangar on Saturday, January 26th for the Aviation Career Exploration Day. The students and chaperones were able to participate in aviation lesson plans, watch videos that explained aviation history and tour the different education stations set up in the hangar by the DOAV staff. They also had the chance to interact with Governor Ralph Northam and First Lady of Virginia Pamela Northam who explained the importance of choosing a career you love. Betty Wilson, Public Relations Manager, provided three different hands-on science lessons about air flow and showed the group how to use an aeronautical chart for flight planning. Aviation Technicians, Jeff Taylor and Greg Gilmour, showed the students various tools and parts of the aircraft so they could better understand how everything works together. They also talked about safety while allowing the students to get a hands-on lesson about maintaining the aircraft. Kim Wells, Public Relations Specialist took photos during the event, provided the guests with a goody bag and also provided educational assistance. 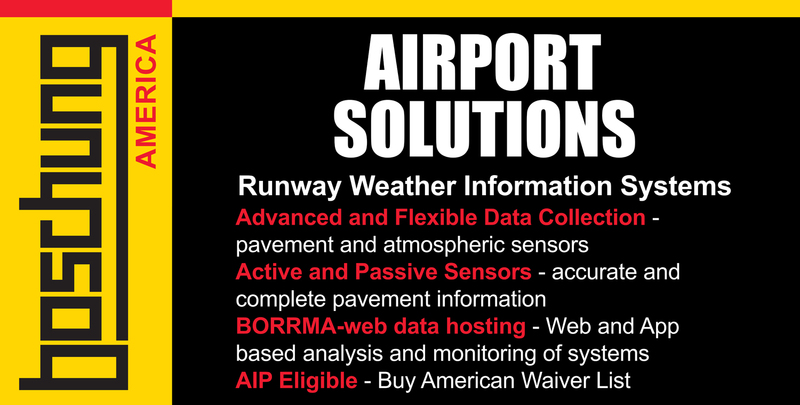 Alton Jordon, an Engineer who has his private pilot’s license, demonstrated how drones can be used and explained his engineering role with the airports. Andrew Crider, Customer Relations Specialist, and also a private pilot, explained how to preflight aircraft and showed them how flight controls work. DOAV Pilot, Greg Dextor spoke about aviation career and airspace and, assisted by Pilot Claiborne Craig, gave the guests a tour of the agency’s airplanes. The Virginia National Guard landed their Sikorsky UH-60 Black Hawk on the ramp and allowed everyone to get inside and learn about military aviation. Richmond International Airport (RIC) Fire came by with their firetrucks and provided a water demonstration. In addition to the outdoor activities, RIC police brought over a patrol car. Attendees enjoyed touring the vehicles learning about various careers and how they interact with aviation. DOAV hopes to plan more events like this in the future. To see more photos visit the DOAV Facebook page (@VirginiaDOAV).